Pork ribs is a true classic. Great food for sharing with your friends, and easy to make. Smoke them with cherry wood and enjoy! The cooking time is approximately 4-5 hours. Removing it allows the flavors from your rub to penetrate the meat on the bone side. It isn’t particularly nice to chew on. Now use the salt and apply a dry brine the night before, or at least 2 hours before cooking. Apply your favorite rub at least one hour before cooking. Pork ribs, with rub applied for 3 hours. Now they’re ready for the grill. Get your grill prepared for indirect grilling, calibrate it to 225° – 240° F. Place the cherry wood chunks on the coals/briquettes, close the lid and wait. 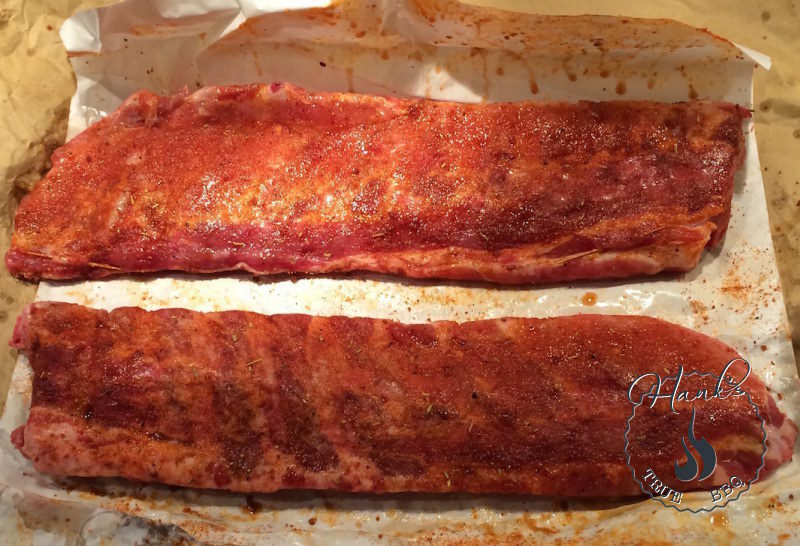 Pour the concentrated apple juice in a small spray bottle, and spray the ribs every 45 minutes until they’re done. How do you know when they’re done? It is easy, use the bend test. 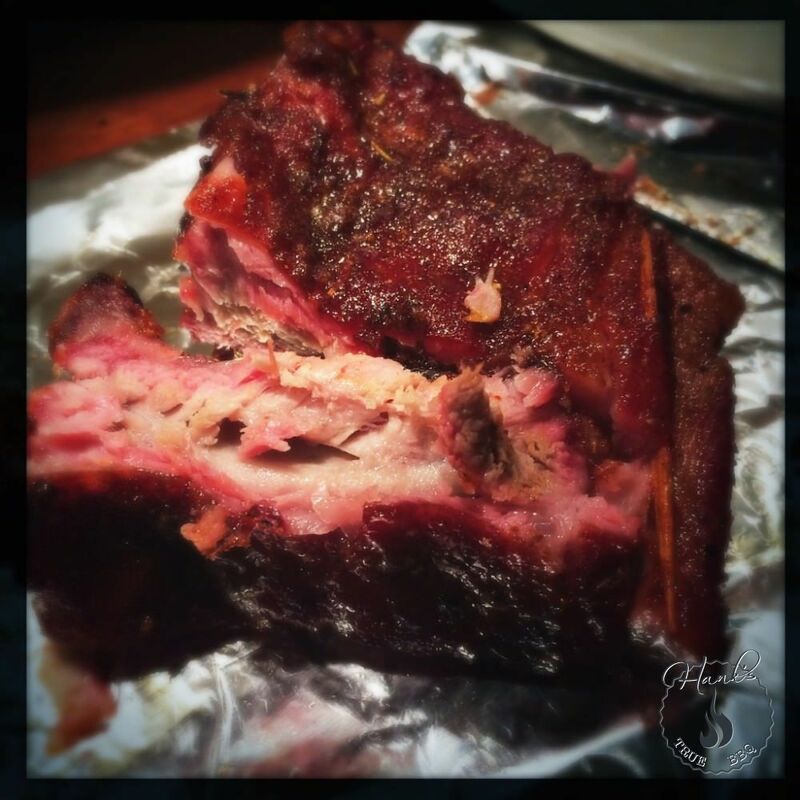 For one rack of ribs running at 225° F ribs usually takes approximately 4-5 hours.